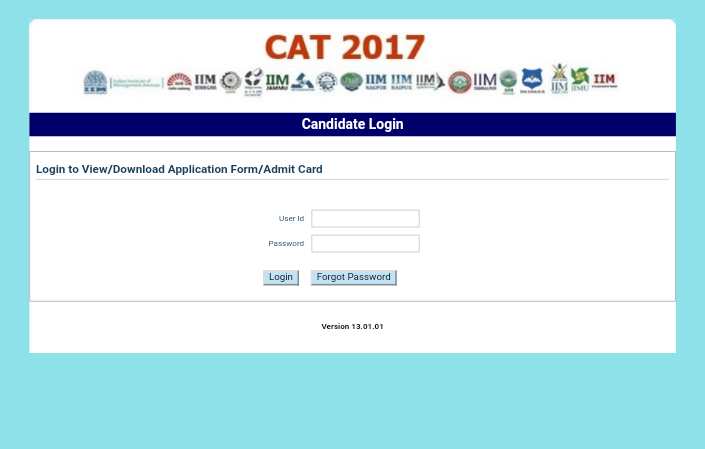 Are you going to appear in CAT-2017 examination? If yes, then this article is for you. You will find complete information like eligibility, exam pattern, fees, important dates and complete procedure of registration. To know complete information about CAT-2017, please read this article. Common Admission Test (CAT) will be held on 26 November 2017 by IIM Luchnow, in two sessions this year. It is a compulsory entrance test required to get into premier B-Schools in India like the IIM's. The maximum time for examination will be three hours. The candidates who have a bachelor degree with minimum 50% marks. The candidates of Sc and ST who have passed bachelor degree with minimum 45% marks are also eligible for CAT-2017. The candidates who have appeared in this year final exam and are waiting for their results can also register for CAT exam-2017. Your eligibility will be verified by IIM during different steps, so it is necessary to maintain an email and a mobile number. The registration fees for general and non creamy layer OBC candidates will be 1800 rupees. The registration fees for SC, ST and disabled candidates will be 900 rupees. The fees once deposited will never be refunded in any condition. 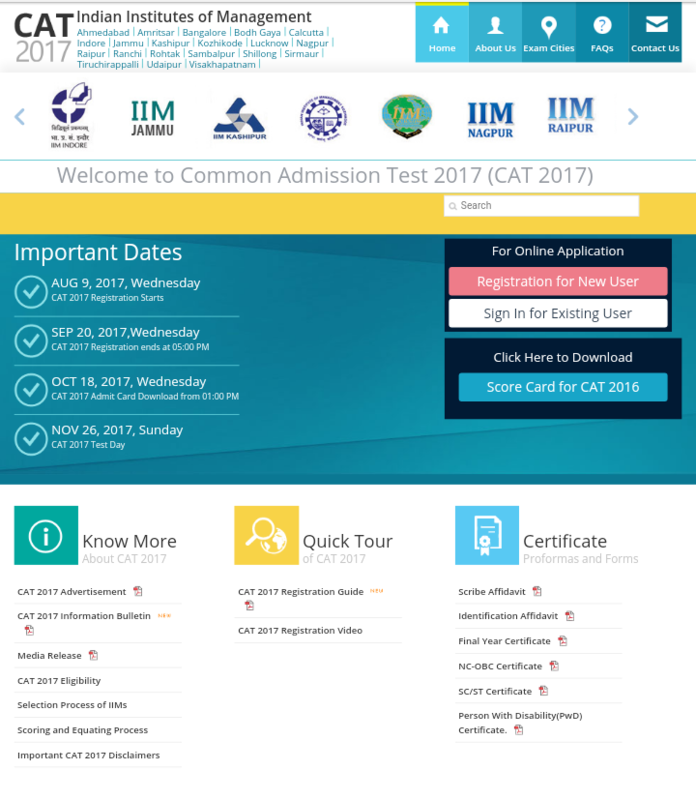 Visit home page of CAT 2017. You will find an option register new user at right side of the page. Click it. After clicking the above option, a registration form will be open. This form needs your name, date of birth, email address and mobile number. When you will fill all the detail you will receive a user ID and password. 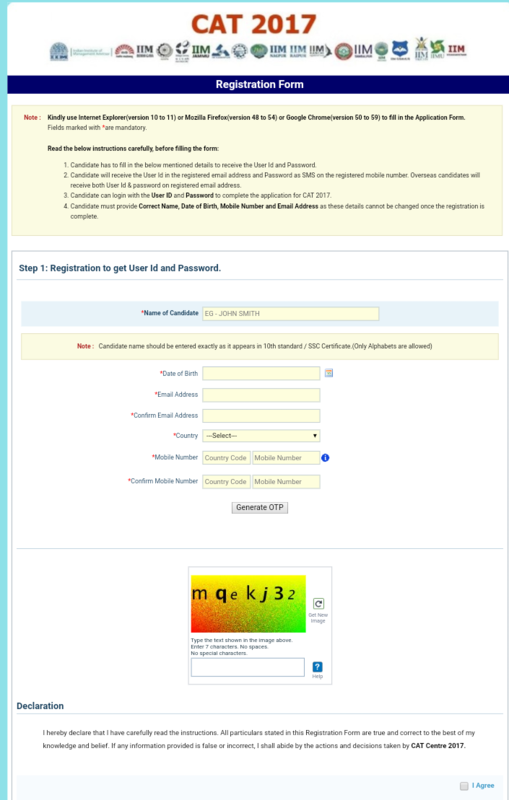 After getting user Id and password, go to home page and sign in to complete your registration. You can make payment by your debit card, credit card or net banking. You can also register yourself through kiosk or e mitra seva Kendra. So I will suggest you get help of kiosk or e mitra seva Kendra, if there is a problem of registering yourself. Remember that both multiple choice and non multiple choice type questions are asked in CAT examination. For every correct answer you will get 3 marks and for every wrong answer 1 mark will be deducted. To understand the pattern of the exam, please solve the previous question papers. So, dear friend, register yourself and best of luck for a better future.